One of the first benefits that you will notice by improving your diet is improved physical health. This means you will feel more energetic, you will feel stronger, and you will be able to keep on doing the many things you love. 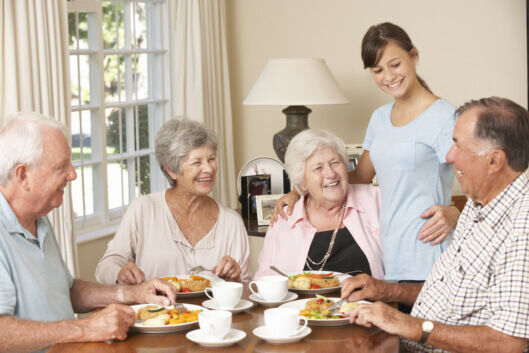 Through our home care services in West Hartford, Connecticut, we are dedicated to helping you maintain a healthy diet. Not only is this a delicious way to improve your health but it will help you feel and look much younger. Maintaining a balanced and nutritious diet can help improve your mental health. Eating right can help improve memory, help you feel more alert, reduce brain fog, and it can also be used to prevent many serious health conditions, such as dementia and cancer. This will not only help you feel healthier but it can also help improve your moods and reduce the risk for depression, anxiety, and other conditions. Another crucial activity that you must do in order to maintain your health is to exercise on a regular basis. However, this can be difficult if you do not have the energy. By eating right, you are providing your body with the nutritious fuel it needs to provide you with the energy to exercise safely and effectively. We can also assist you through our personal care assistant in Connecticut. Those are just a few of the many factors that you will want to keep in mind when it comes to maintaining your youth. If you would like to find out more about how you can stay young at an advanced age or about our homemaker services in Connecticut, please contact At-Home Care Services anytime. This entry was posted in Nutritious Diet and tagged Better Mental Health, Better Physical Health, Energy for Exercise. Bookmark the permalink.